After much speculation that the world's tallest roller coaster, and the first Polercoaster from US Thrill Rides, would open in the Orlando area today the plans have become official. 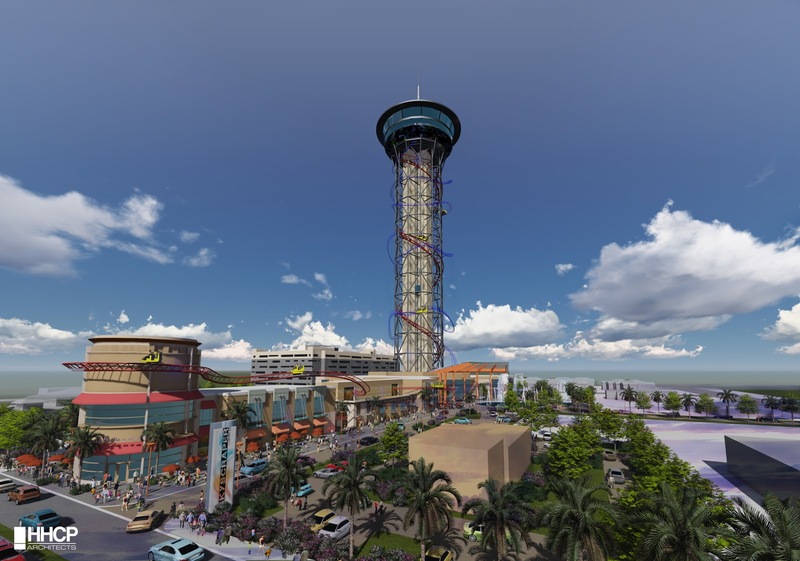 A part of SKYPLEX, The Skyscraper will take riders up to a world record 570 feet above the ground. SKYPLEX is a planned $200 million entertainment complex that will span 12 acres along International Drive, and feature 495,000 square feet of food, beverage, entertainment and retail space. The Skyscraper roller coaster will wrap around the SKYPLEX observation deck and feature "inside and outside loops, dives, spirals, and inversions like the world has never seen." Starting above the 535 foot observation level, the coaster will makes its way down after the spiral lift and eventually skim along the top of the retail buildings. US Thrill Rides has partnered with S&S to create the roller coaster aspect of the attraction, which makes sense considering the company's existing El Loco style ride. The developers behind SKYPLEX are currently building Mango's Tropical Cafe in Orlando, located near the site. That will open in 2015 - the same year that SKYPLEX is planned to start construction, leading to a 2016 opening. 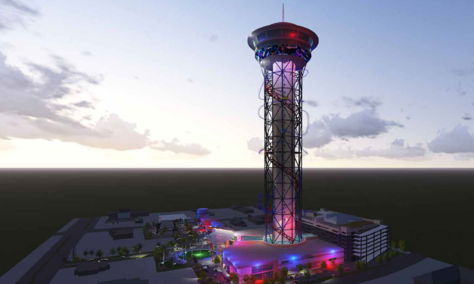 You can read more about the project on the official SKYPLEX website.